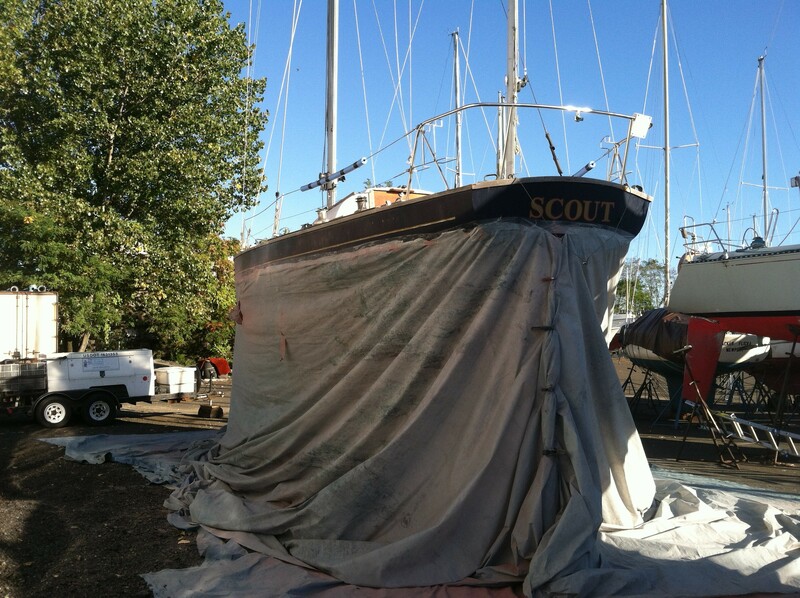 The first thing we did when Scout was pulled from the water in September 2013, was to have her hull soda blasted. This quickly took all of the layers of bottom paint and anything else that was attached to the hull off. It was done in a day. 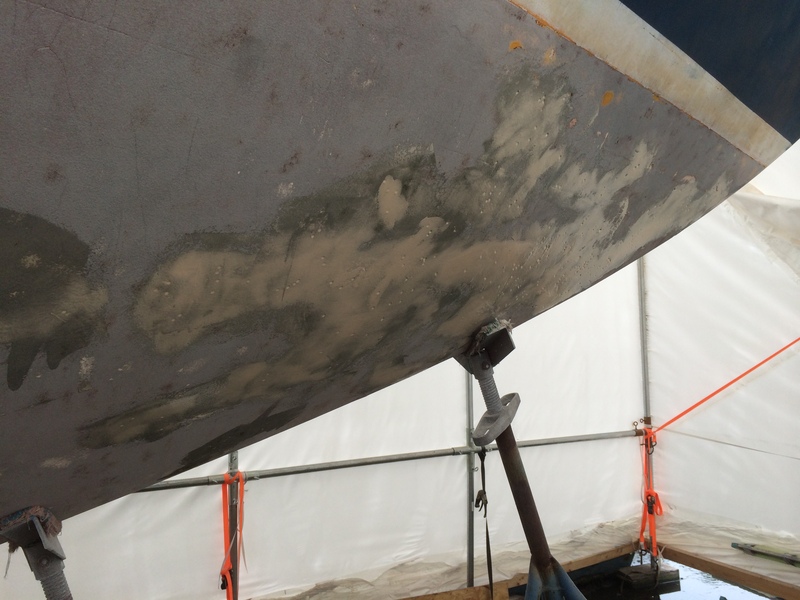 The one thing that Tri-State Soda Blasting said to us was that old boat owners were never happy when it was done because all of the blisters that were hidden by bottom paint are all very apparent! Well, he was not kidding! 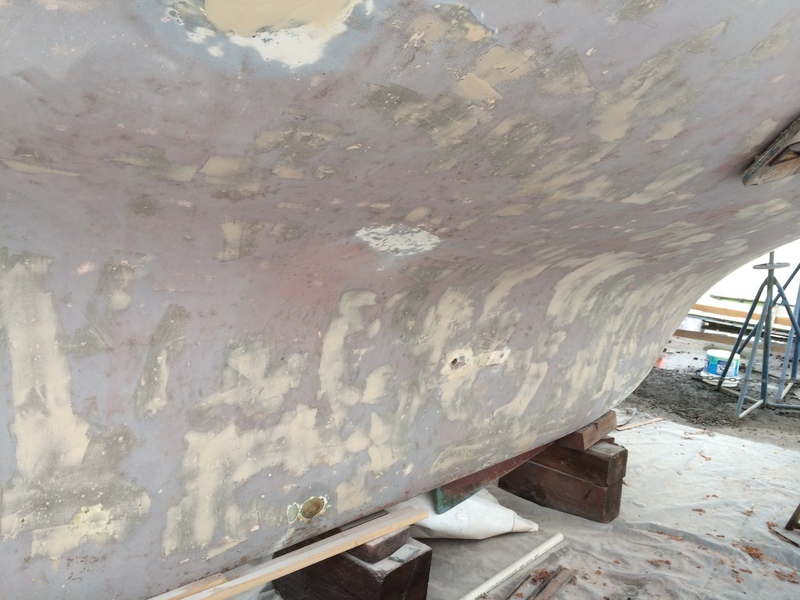 Our hull was slightly looking like swiss cheese. We decided to worry about all of that damage until now. Blisters are caused by osmosis, yes water worked its way into the gel coat and bubbled out over time. 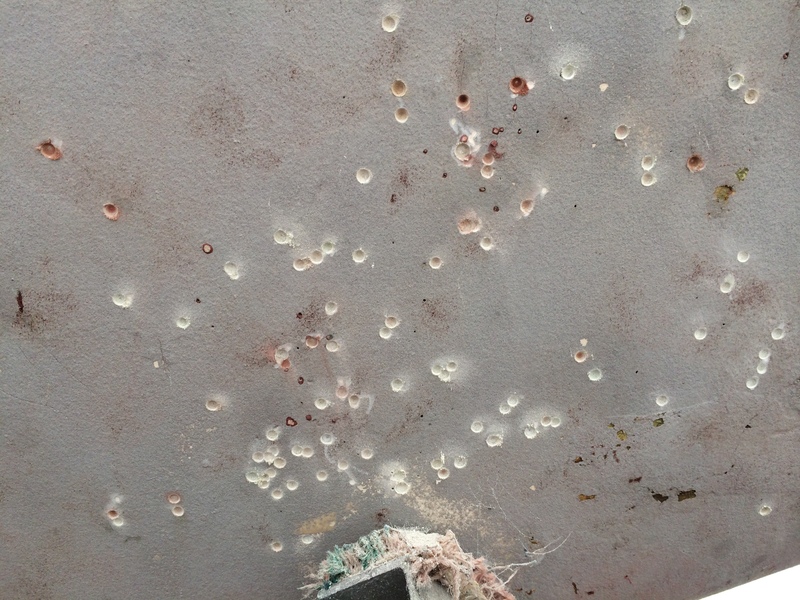 The soda blasting took off the bubble and left a bunch of little holes. This is not a structural issue at this point, but it is an area where water can work its way into the fiberglass and eventually cause issues. We are working off of the cuff on this one! Brian suggested that I take the drummel tool to fair out the blister hole to bare fiberglass so the West System 410 would adhere. It was mindless work, and it kept me busy and out of Brian’s way for a while. I made it through about 3/4’s of the starboard side of the bottom. My very first attempt of the resin was a complete failure. I then realized all of my experience fixing the plaster in the house was going to come in handy. Once I got more comfortable with the whole mixing of resin and applying, my 2nd and 3rd batch of fairing resin went much better. Now, I wait until tomorrow night to attempt the sanding to see how successful I was. I had to take the drummel tool to all off the blisters that were apparent after the soda blasting, it takes forever! I also just placed the order with Jamestown Distributors for the barrier coat that will be applied before the bottom paint. Yep, this is going to take the rest of the month. 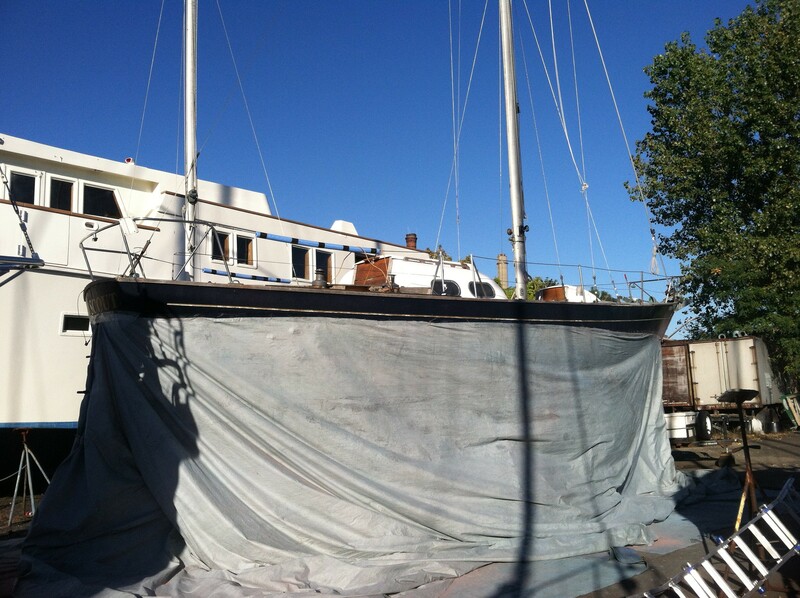 I still think it is kind of funny that the bottom is probably going to look better than the top sides, and not one is going to see all of this work once the boat is in the water. 82 days until we are land homeless! It seems like a lot of time but every day the stress keeps adding up. I have to keep in mind that we will be in the Florida Keys for Christmas! « The Head and the Topsides.